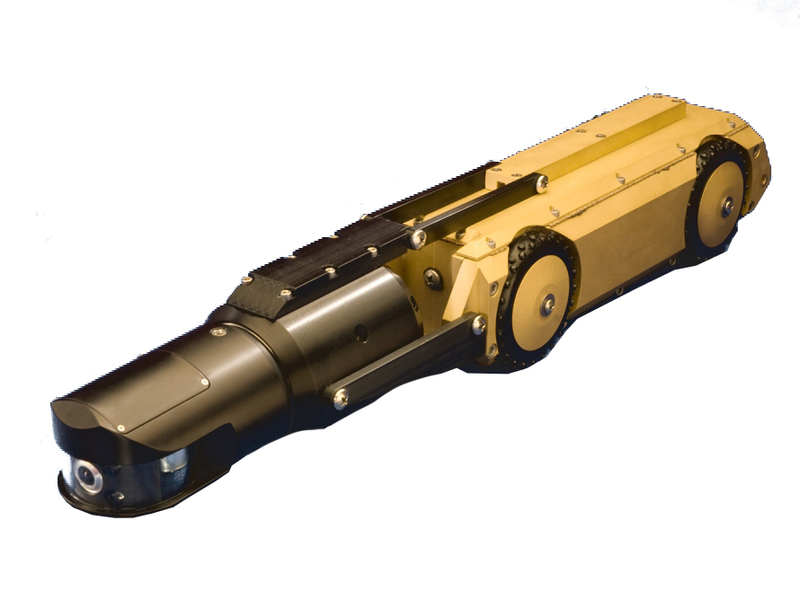 The OmniStar Probe delivers a 360° continuous rotate capability and a 270° panning capability for easy sewer inspection. In addition to high-performance features, the OmniStar gives you different mounting options, as it is specifically designed to mount on the Single-Conductor Push Rod or the Mighty Mini Tractor. When used as a push camera, the OmniStar fits in three-inch pipes. When used with Mighty Mini Tractor as a mainline camera, it will fit in four-inch or larger pipelines. The later configuration takes advantage of the Mighty Mini Tractor’s easily adjustable cantilevered camera mount and quick performance (travel speeds up to 30 feet per minute and four-wheel drive powered by a 90W rare-earth permanent magnet motor). Compact, rugged, aluminum and stainless-steel housing. Fits in 3 inch pipes if used as a push camera or 4 inch if used with Mighty Mini Tractor as a mainline camera.